What Exactly is Mixed Media? 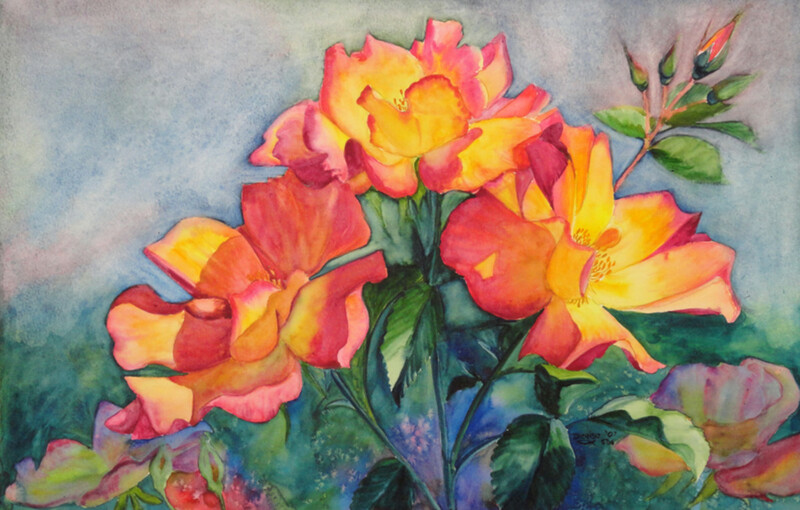 Mixed media is simply using more than one medium to create a piece of art. 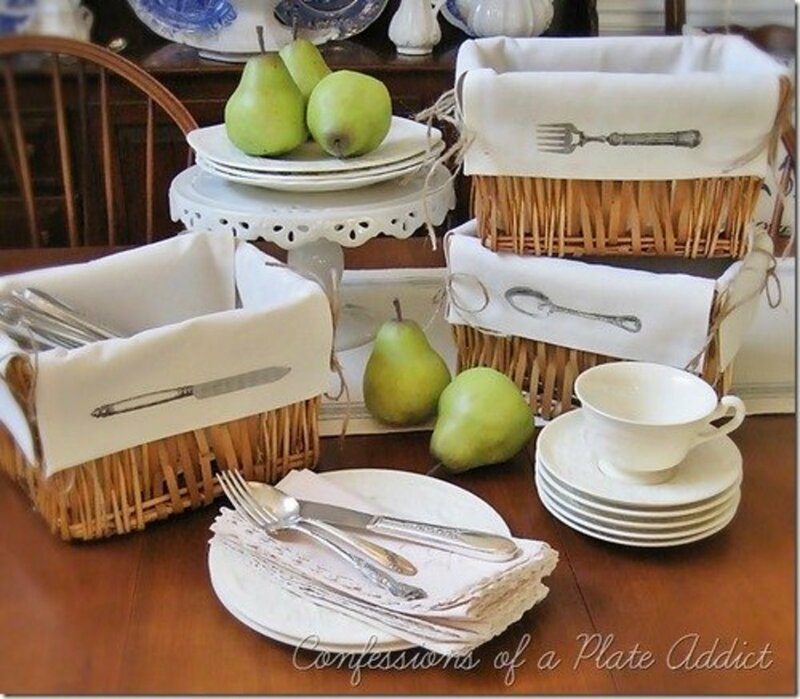 For example, acrylic paint and collage, or watercolors and markers, or combining even more media such as paint, glitter, inks, pen and rubber stamping. The permutations and possibilities are endless. 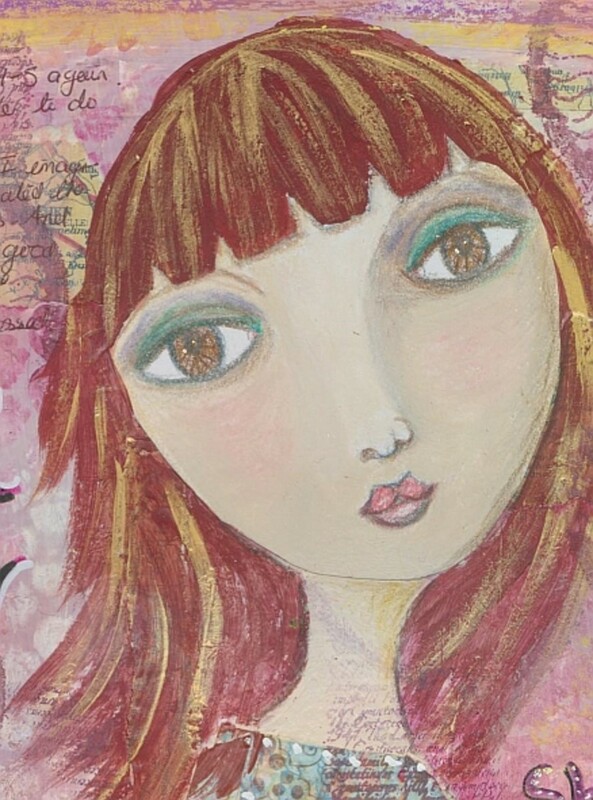 This article demonstrates how to build up a mixed media painting, later by layer. I shall be working in a Strathmore Visual Journal 9 x 12 inches. 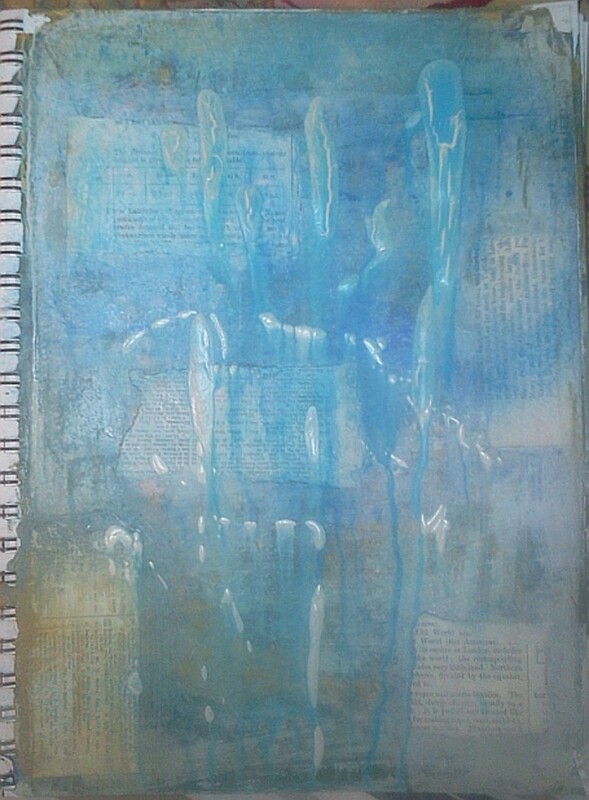 My art journals are simply collections of mixed media dabs and daubs; a place to experiment and have fun. If I don't like what I created, I can simply glue two pages together to hide the disaster! 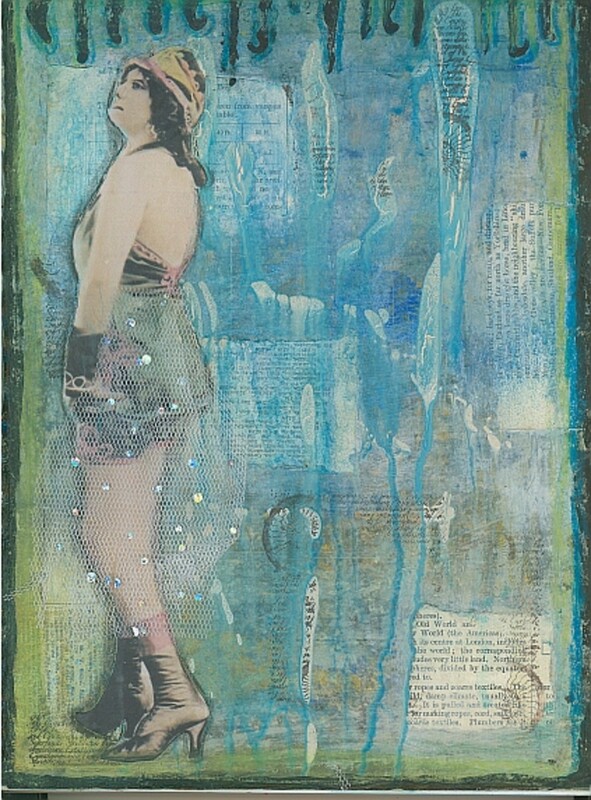 Supplies used in this piece: Pip Seymour acrylic paint, torn paper collage, Liquitex acrylic inks, black stamp pad, rubber stamps, vintage image, fabric netting, Caran D'Ache Neocolor ll water soluble crayons/pastels. These crayons are so much fun and so versatile for all kinds of art projects. I usually use acrylic paint for my base layer. 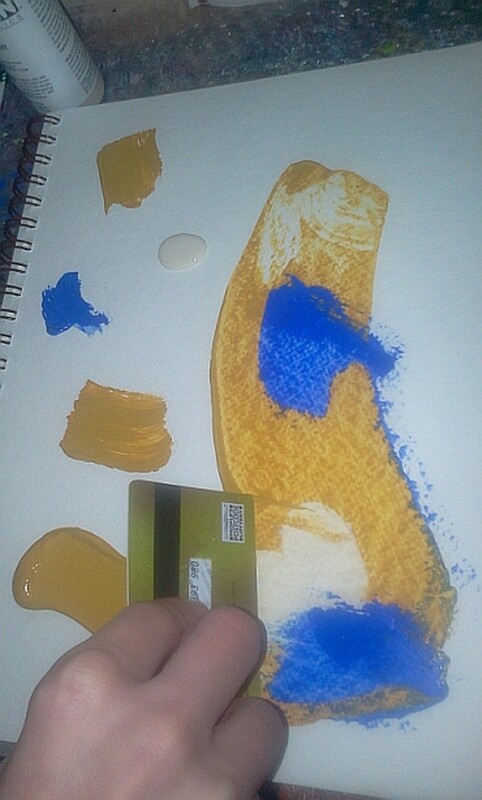 Here I have blobbed some paint on to the paper and am spreading it around with an old credit card. I have no idea what it will turn out like - that's part of the fun. The colors are: Titan Buff, Yellow Ochre and Cobalt Blue. I keep scraping the paint around until it mixes on the page. It's messy but effective. The resulting green was a bit deep and overwhelming so I used the card to scrape it back as much as I could, leaving a sort of antique distressed look. Much better. 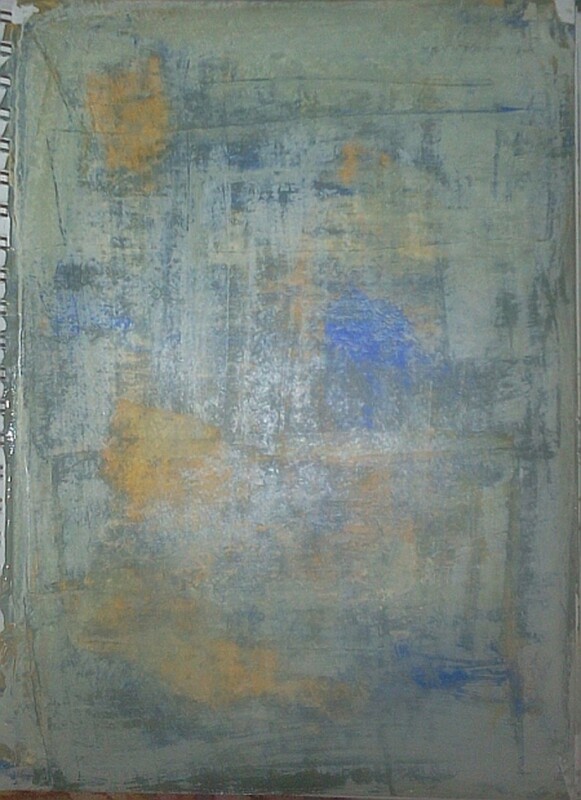 I didn't throw away the paint that came off the page, I immediately applied it to a couple of other blank journal pages in other books. Waste not, want not. The next layer is a few random pieces of print from an old falling-apart book. I still have no plan or any idea how this is going to turn out. The printed papers need to be 'knocked-back', so I paint a thin layer of gesso over them. More paint now. I blob on some Golden Titan Buff and allow it to run down the page. Then grab some diluted inks and spray them on as well. As I dry the page, I notice some interesting crackling happening. Don't you love happy accidents? I have to leave this overnight to dry properly. Found this image on my computer – I have a ton of vintage copyright-free images – and thought she would go well on the painted page. Notice there is a smudged shadow of charcoal all around her. This helps the collage piece to look as if it is part of the painting. I painted a black border around the edge of the page and then scrubbed it a little with kitchen towel to scruff it up. Added a little water soluble wax crayon as well. Then decided to give a sparkly netting skirt to the girl to preserve her modesty. I'm not a huge fan of commercial rubber stamps; I prefer to make my own printing stamps from bits of styrofoam. I do have one commercial one that I use a lot; it has trilobites and script and I use parts of the stamp by inking on one area only. I have used that randomly over the page and really like the effect on the dried paint blobs. 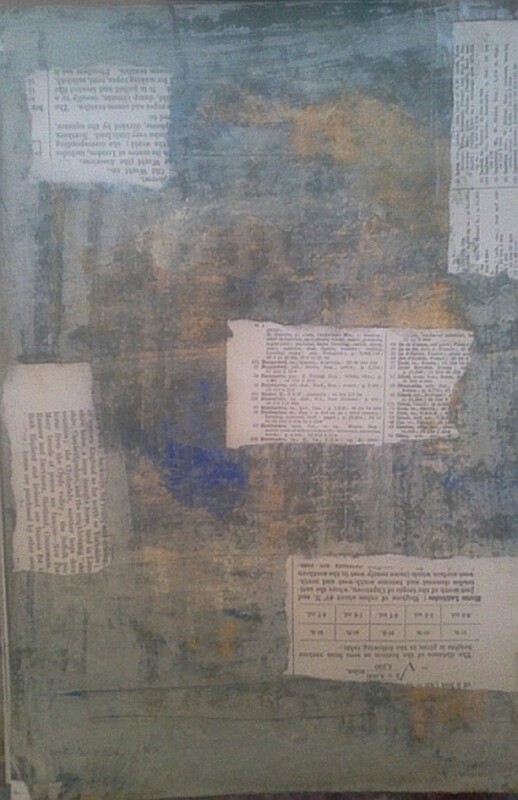 It's not necessary to add text to a mixed media painting, but as mine are journals, then I usually add a quote or something. These pages do actually get journaled on but always at a different time. 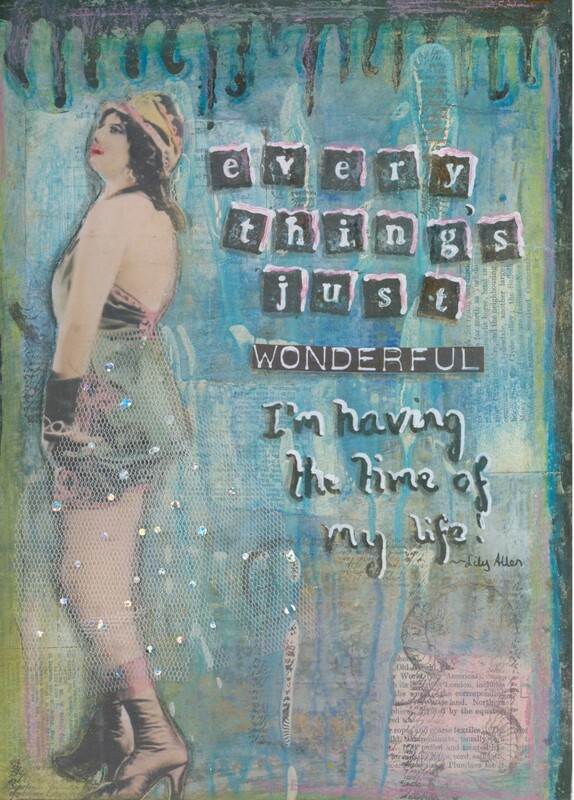 When I'm making art, I'm not in the right mind-set for journaling. 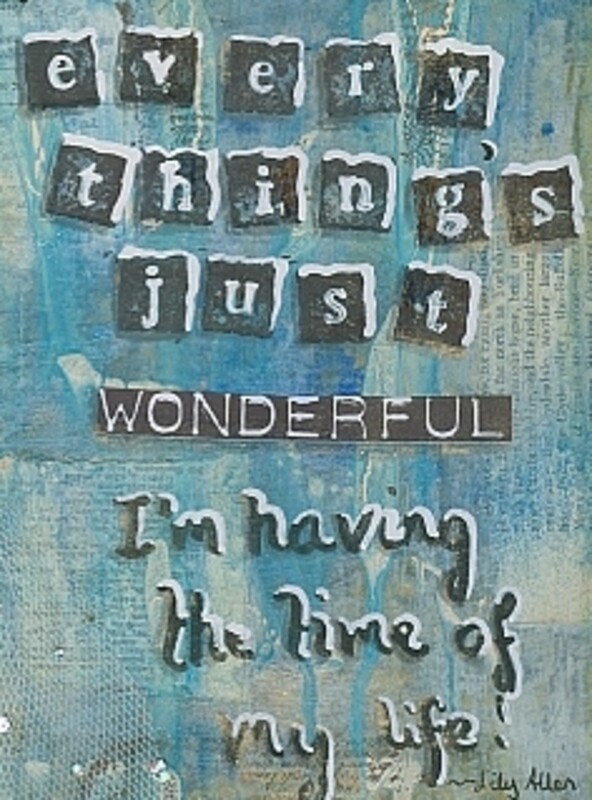 I stamped the first part of the lyric, printed and glued the 'wonderful' and hand-lettered the last bit. Used a correction pen to add the white highlights and finally rubbed on a little gold powder here and there. Looking at the page the following day, I can see that there's pink on the girl but none anywhere else. I always feel that a color used in one area, should be echoed elsewhere to give the painting coherence, so I grabbed a pastel and smudged some pink around the page. Hope you enjoyed this mixed media step-by-step, thanks for stopping by. 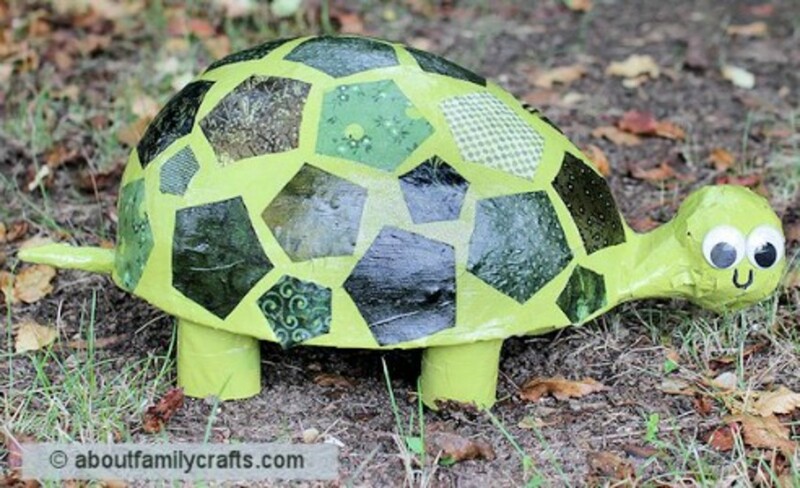 Like Painting, Gluing and Sticking? Aw... thank you. This isn't my favorite piece, it must be said! When you start on mixed media - take photos/scan everything you do. It all comes in useful for hubmaking! I can't wait to try. I'm grearing up. Very informative & helpful for people needing a little instruction & introduction to mixed media. Love you!!! What a great example of what you talked about in your other hub on techniques! This is wonderful, and I can't wait to try it out. Thank you, Angelo and Laura. Angelo, yes absolutely on canvas. Just look online for 'mixed media canvas' and you'll find many examples. Wow! This is so cool. You are quite creative and talented. 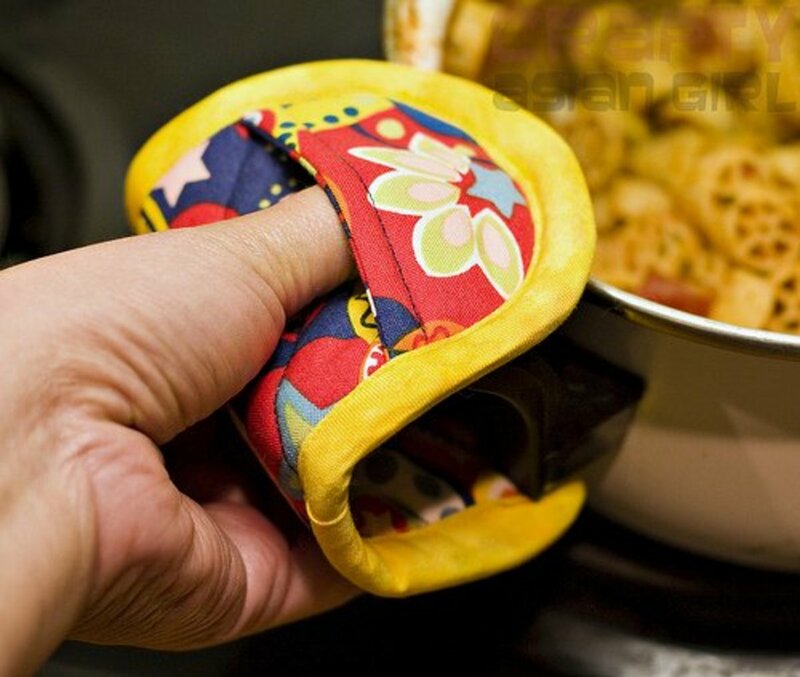 This is a geat step by step process that encourages us novices to give it a try to not worry about messing up. Voted up. Thanks so much, GoodLady and Natashalh. Was definitely fun to do though I still haven't cleared up the mess I made while doing it! Wow! If I just started spreading paint around, I know it wouldn't end up looking anything like that! This is such a cool step-by-step process that I feel tempted to try, though. Voted useful and interesting.